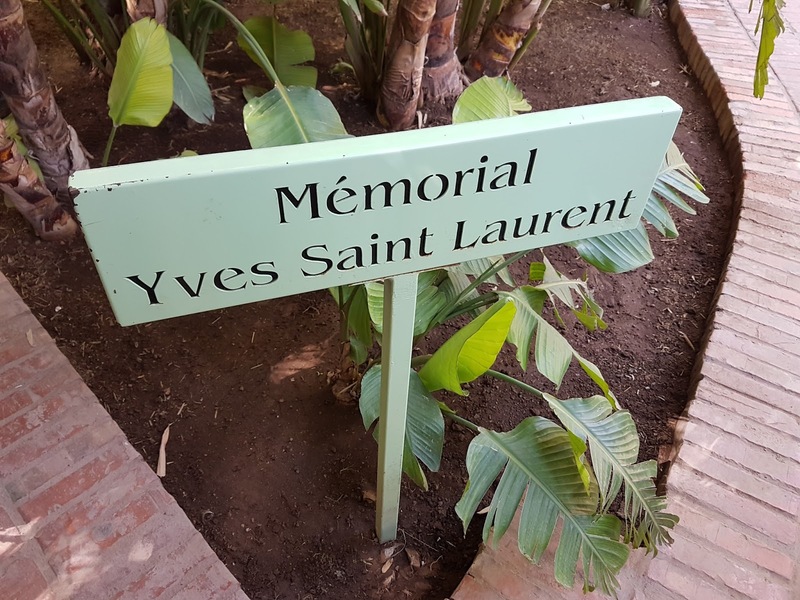 Most of my second day in Marrakech was spent at the Jarin Majorelle - Yves Saint Laurent's garden. The whole place was stunning, filled with beautiful colours and even more stunning plants. The cactus's in particular were just stunning. 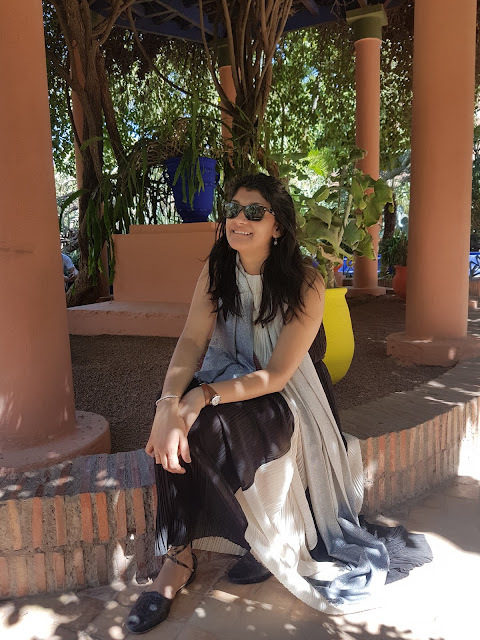 This dress is one of my favourites and I felt it fit in so well with the vibe of Jardin Majorelle. I only recently got into maxi dresses and I'm so excited to buy more ahead of the summer. 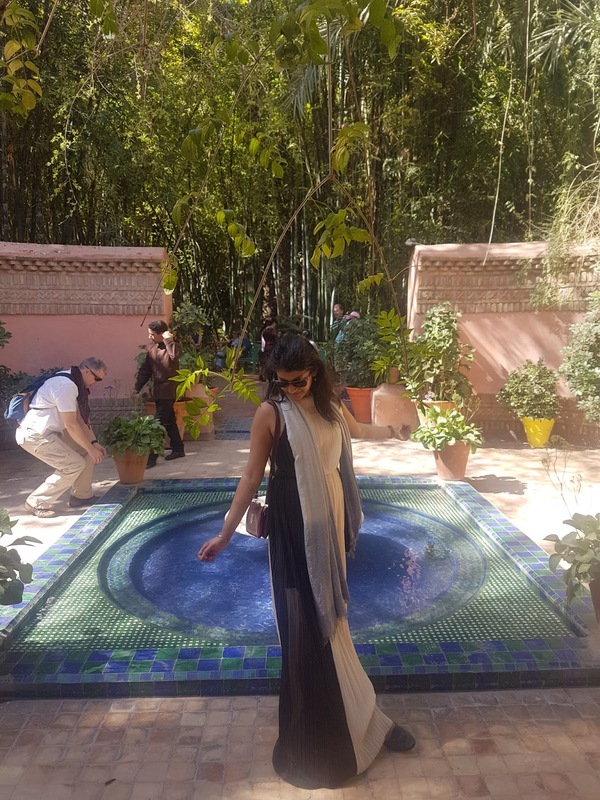 I've heard amazing things about this garden - I remember my aunt showing me pictures of her visit there when I was a teenager and absolutely falling in love with the place. I still haven't made it there, but one day soon I will, I hope! 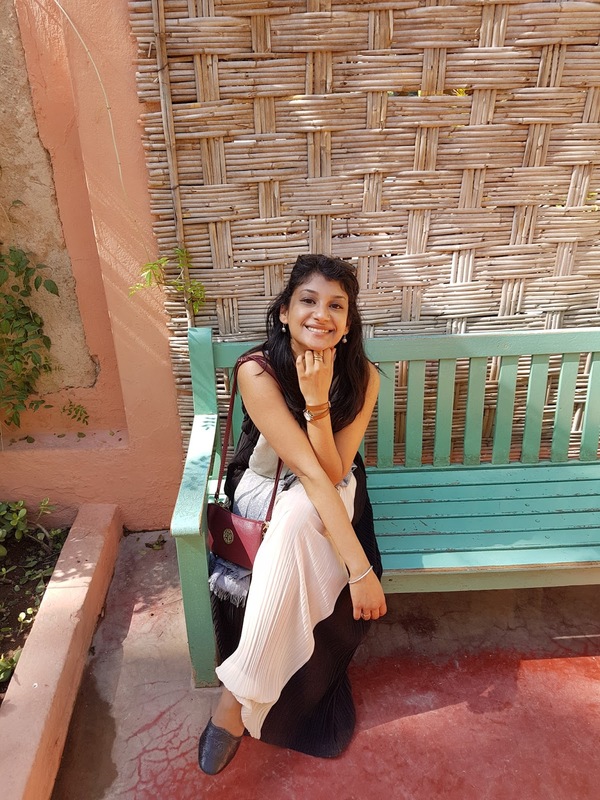 What a gorgeous dress, Sherin! And that garden!